U.S. stock futures rise and global stocks extend their rally; Novartis to sell 36.5% stake in joint venture to partner GSK for $13 billion; Facebook's Mark Zuckerberg won't face U.K. lawmakers. U.S. stock futures rose Tuesday, March 27, and global stocks extended gains following one of the strongest rallies on Wall Street in nearly three years, as investors swooped in to snap up cheap equities in markets around the world amid a cooling of tensions in the U.S.-China trade war. Contracts tied to the Dow Jones Industrial Average rose 121 points, while those linked to the broader S&P 500 rose 14.50 points. The global market rebound was being fueled by speculation that officials from both Washington and Beijing were holding closed-door talks aimed at averting an all-out trade war between the world's two largest economies, a concern that was sparked last week by Donald Trump's decision to target up to $60 billion worth of China-made goods for new tariffs following his move to slap import levies on non-American steel and aluminum. Spices and seasonings maker McCormick & Co. (MKC - Get Report) posted adjusted earnings in the first quarter of $1 a share, above analysts' estimates of 90 cents. Sales in the quarter rose 19.2% to $1.24 billion, matching forecasts. The joint venture was formed in 2015 as part of Novartis' portfolio transformation, which comprised a three-part inter-conditional transaction with GSK, including the combination of the Novartis over-the-counter business with the GSK consumer healthcare business into the existing joint venture. "While our consumer healthcare joint venture with GSK is progressing well, the time is right for Novartis to divest a non-core asset at an attractive price," Novartis CEO Vas Narasimhan said in a statement. "This will strengthen our ability to allocate capital to grow our core businesses, drive shareholder returns, and execute value creating bolt-on acquisitions as we continue to build the leading medicines company, powered by digital and data." Uber Technologies Inc.'s self-driving vehicle testing privileges were suspended Monday in Arizona following a pedestrian fatality last week in a Phoenix suburb. Arizona Gov. 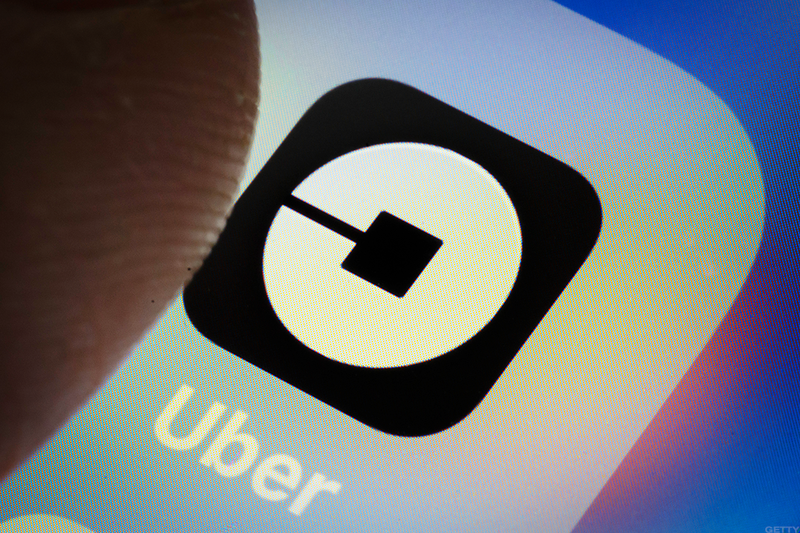 Doug Ducey said in a letter to Uber CEO Dara Khosrowshahi that video footage of the crash raised concerns about the ride-sharing company's ability to safely test its technology in Arizona, the Associated Press reported. Ducey said he expects public safety to be the top priority for those who operate self-driving cars. "The incident that took place on March 18 is an unquestionable failure to comply with this expectation," Ducey said. Uber said in a statement it will "continue to help investigators in any way we can, and we'll keep a dialogue open with the governor's office to address any concerns they have." Facebook Inc. (FB - Get Report) CEO Mark Zuckerberg won't answer questions from British lawmakers over how users' data was improperly shared with political consultancy Cambridge Analytica, according to a letter sent by the social media giant seen by Reuters. Zuckerberg will instead send his Chief Technology Officer Mike Schroepfer or Chief Product Officer Chris Cox to appear before the Digital, Culture, Media and Sport committee, Reuters reported. Facebook's head of U.K. Public Policy told lawmakers that Schroepfer or Cox were better placed to answer questions. "Facebook fully recognizes the level of public and Parliamentary interest in these issues and support your belief that these issues must be addressed at the most senior levels of the company by those in an authoritative position," wrote Rebecca Stimson, Reuters reported. "As such Mr. Zuckerberg has personally asked one of his deputies to make themselves available to give evidence in person to the Committee." The Federal Trade Commission confirmed on Monday it was investigating Facebook's data privacy practices in the wake of the scandal. The developments - and Facebook's delayed response to it - caused the stock to plummet almost 15% last week. Shares were rising slightly in premarket trading on Tuesday. Deutsche Bank AG (DB - Get Report) shares rose about 1.2% in Frankfurt on Tuesday following a report in London's Times newspaper that suggested Germany's biggest lender was sounding out candidates to replace embattled CEO John Cryan.